Below Rick is able to explain why Avigilon are such a respected name in the industry today. 1. Rick, what is your role within Avigilon and how long have you been with them? I am a product manager, responsible for both Avigilon‘s hardware and software products. I joined Avigilon in 2007. 2. How long has the company been trading and how quickly have you been able to grow now megapixel is the buzz word in the security surveillance industry? Avigilon was founded at the end of 2004. In 2010, Avigilon was ranked among the Deloitte Technology Fast 50™, a ranking of the 50 fastest growing technology companies in Canada, based on the percentage of revenue growth over five years. Avigilon’s revenues increased 33,664 percent from 2005 to 2009—making it among the top five fastest growing companies in Canada. Avigilon was also named to Red Herring’s North America 100 list in 2010, a prestigious list honoring the year’s most promising private technology ventures in North America. 3. 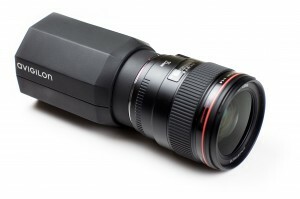 The 16 megapixel hd professional camera is quite a talking point. For what applications have you seen it used and how would you measure its success so far? The Avigilon 16 MP HD camera delivers the highest resolution possible and exceptional detail for monitoring very large areas — the equivalent resolution of more than 50 VGA cameras. Leveraging JPEG2000 compression and High Definition Stream Management (HDSM,) the Avigilon 16 MP HD camera can capture extremely high quality image detail, but requires little bandwidth and storage. The Avigilon 16 MP HD camera is being used in stadiums and public venues, parking lots, transportation systems, and cargo terminals. Avigilon’s online system design tools including the camera resolution and lens estimator facilitate the selection of the correct resolution camera for each location’s requirements. So far, the camera has been a tremendous success as it offers a solution unique in the industry for delivering high resolution and exceptional detail covering very large areas. 4. Having seen your offerings at IFSEC this year, build quality is obviously very important to you. Do you believe this helps you sell your product over cheaper mpix cameras on the market? Avigilon is committed to delivering prompt service and support, and offers a three-year warranty on all parts, adding to the solution’s overall reliability and we believe that this does differentiate us in the market. Avigilon maintains all of its development and manufacturing in Vancouver, Canada, and has invested more than $2 million in state-of-the-art equipment to automate the production and assembly of sub-components and finished goods to boost its production capability. With in-depth experience in the life science/microscope camera field, the company’s core development team has worked together for almost a decade to develop a high-performance and reliable HD surveillance solution based on proven technologies. 5. Arecont look like your nearest competitors – how does the recent price reduction news from them impact or influence your roadmap? Arecont is one of our partners. In fact, their cameras can be used within the Avigilon Control Center NVMS, so we’re certainly pleased to see moves in the industry that are advancing the adoption of HD and megapixel cameras. Avigilon continues to be the performance and value leader and recently introduced its HD H.264 line of cameras that deliver industry leading H.264 image quality and fully motorized lenses for remote zoom and focus to improve ease of installation at pricing designed to give the broad market access to HD quality surveillance video. 6. What is the Avigilon roadmap? Avigilon’s recent decision to offer two editions of the award-winning Avigilon Control Center software — Enterprise and Standard — reflects our road map as we expand our portfolio to include effective solutions that deliver greater access to HD surveillance to all parts of the market. Avigilon is committed to remaining the performance and value leader in HD surveillance systems, driving innovation to improve video surveillance quality, reduce investigation times, and deliver better video evidence. 7. Some in the industry have shed a little doubt about how successful megapixel cameras will be. What is your best answer to critics of high megapixel bandwidth ? Avigilon Control Center was engineered from the ground up to intelligently manage HD video, delivering both situational awareness and complete image detail while efficiently handling bandwidth and storage. High Definition Stream Management (HDSM) makes the Avigilon Control Center engine the most powerful and efficient Network Video Management platforms on the market because it intelligently manages HD video transmission, sending only requested portions of the captured video to monitoring stations. HDSM results in immediate savings in transmission bandwidth and reduces costs by requiring less powerful workstations. Effective management of HD video is the only way to ensure the system as a whole can handle the higher demands placed by HD video and deliver details needed to reduce investigation times and improve success. 8. Will a megapixel camera replace a dome PTZ camera? Depending on the scope of coverage and desired level of detail required, a megapixel HD camera can replace a dome PTZ. We have developed a unique set of online system design tools including a camera resolution and lens estimator to help our customers choose the correct camera resolution for each scene to get the detail level expected. 9. When will the industry completely embrace IP? is it cost related? Cost is certainly a factor, but the ability for an IP system to truly outperform an analog system has also been an important factor in the industry’s move toward full HD performance. The introduction of HD cameras and purpose built HD NVMS platforms has provided the benefits and needed incentive to accelerate the transition. 10. DVRs….are they dead? VMS and servers are the future right? Analog encoders are designed to integrate legacy analog cameras into a High Definition IP surveillance system, facilitating the transition from analog to full HD over time. 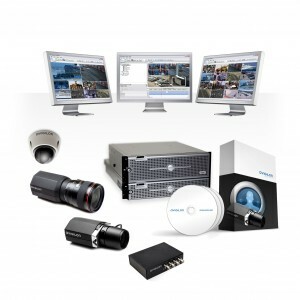 The Avigilon analog encoder seamlessly integrates with Avigilon Control Center, using only a single camera license for all 4 ports, creating a network based surveillance solution with unmatched performance, ease of use, and ease of installation. 11. Security installers or IT specialists – who do avigilon favour? And where do you see the industry going in the next 5 years? Avigilon works with both security installers and IT specialists. We believe that both groups are expanding their knowledge and expertise in security and IP technology to take advantage of new opportunities. Over the next five years , we’ll see more security installers expanding into areas conventionally performed by IT specialists and at the same time, IT specialists will begin to offer more integrated security applications. 12. Finally Rick can you give us 3 reasons why customers should consider Avigilon products over your many competitors out there? 1) Avigilon Control Center was engineered from the ground up to intelligently manage HD video, delivering both situational awareness and complete image detail. Featuring HDSM, Avigilon Control Center is the industry’s only truly open NVMS, allowing system designers to integrate Avigilon solutions with existing assets including analog and IP cameras, access control, and other intrusion systems. HDSM intelligently manages HD video transmission, sending only requested portions of the captured video to monitoring stations, resulting in immediate savings in transmission bandwidth and reduces costs by requiring less powerful workstations. 2) Avigilon designs and manufactures the industry’s widest range of high quality HD cameras in resolutions from one to 16 megapixels, which seamlessly integrate with the Avigilon Control Center Network Video Management system to create a network-based surveillance solution with unmatched performance and ease of use. Avigilon cameras exploit the benefits of both Onvif-compliant H.264 and JPEG2000 compression standards to provide system designers with maximum flexibility in order to meet video resolution requirements for each location in the most cost effective manner. 3) Avigilon backs all of its products with a 3 year warranty and industry leading 24×7 technical support. With a focus on prompt delivery and service, Avigilon’s global network of partners provides rapid access to equipment and accessories. Our brand promise is to be #1 in end-user satisfaction by providing greater performance, value, ease of use, reliability, customer service, and market innovation. We would like to thank Rick Ramsay for his time, a great insight into where the industry is heading and why Avigilon are leading the way. This entry was posted on Tuesday, November 23rd, 2010 at 04:22	and is filed under IP CCTV. You can follow any responses to this entry through the RSS 2.0 feed. Both comments and pings are currently closed.